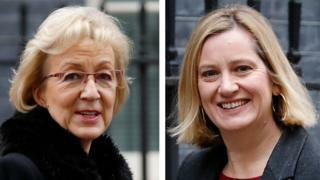 Cabinet peers Andrea Leadsom and Amber Rudd have set out rival strategies if Theresa May can’t get her Brexit deal through Parliament. The two ministers stressed that their identified priority was procuring Parliamentary backing for the prime minister’s deal. But Ms Rudd said a referendum was a “plausible” way forwards if MPs were deadlocked. Mrs Leadsom said a brand-new referendum “wouldve been” “unacceptable” and indicated instead for a “managed no deal”.